Nowadays, with the resources decreasing and the environment worsening, people pay more and more attention to recycle the waste. 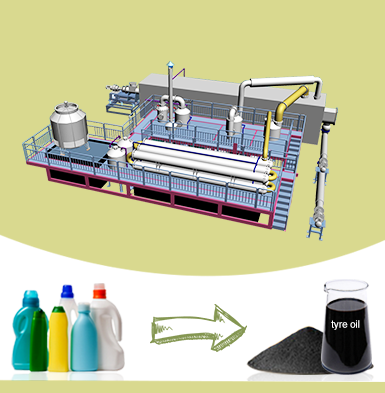 The following content is the tyre pyrolysis plant project report. Only in the EU, USA and Japan around 6 million tones per year of scrap tyre are produced. The huge quantity of waste tires presently produced in the world will certainly increase in the future as the associated automotive industries grow. The disposal of scrap tires becomes a serious environmental problem. The accumulation of discarded waste tires leads to environmental pollution. A large fraction of the scrap tires is simply dumped in sites where they represent hazards such as diseases and accidental fires. Rubbers are not biologically degradable, and this fact creates problems with their disposal. The impact of waste rubber on the environment can be minimized by recycling with material or energy recovery. However, during processing and moulding rubber materials are crosslinked, and therefore they cannot be simply again softened and remoulded by heating. For many years, landfill, was the main, practical means for dealing with the problem of waste tires. However, landfilling of tires is declining as a disposal option, since tires do not degrade easily in landfills, they are bulky, taking up valuable landfill space and preventing waste compaction. Open dumping may result in accidental fires with high pollution emissions. In the EU countries in 1990 the percentage of tires discarded in landfills was 62% of all produced waste tires in 2000 about 35% and in 2006 (as it results from the EU legislation)this percentage will decrease to 0%. Some countries including the Slovak Republic have already banned the use of discarded tires for landfill. 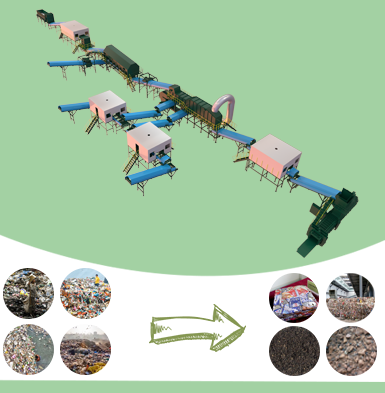 This just a simple waste tyre recycling plant project report. Accordingly, for protecting the environment around us, many people choose to do tyre to fuel recycling plant project. If you have such intention, email us now. 1 Crude oil 45% A. Sell directly. B. Turn to diesel and gasoline by waste oil distillation plant. 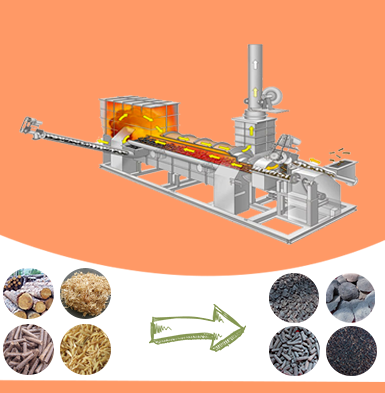 B. Reprocessing to fine carbon by carbon black processing machine. 4 Flammable oil gas 10% A. Fuel burn by use gas burn system(tires to oil machine included). Pyrolysis of scrap tyre can separate solids in the tire, such as steel wire and carbon black, from volatile liquid and gaseous compounds that can be used as fuel. Although the pyrolysis of waste tires has been widely developed throughout the world, there are legislative, economic, and marketing obstacles to widespread adoption. * The part that cannot be liquefied will be input into heating supply system for burning by way of combustion gas purification system. 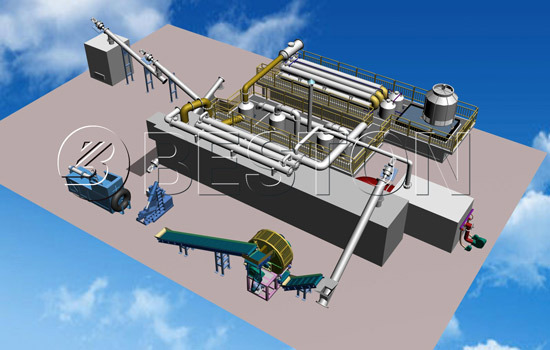 We believe this waste tyre pyrolysis plant project report give you some useful information which would help you to establish the tyre pyrolysis plant more smoothly. 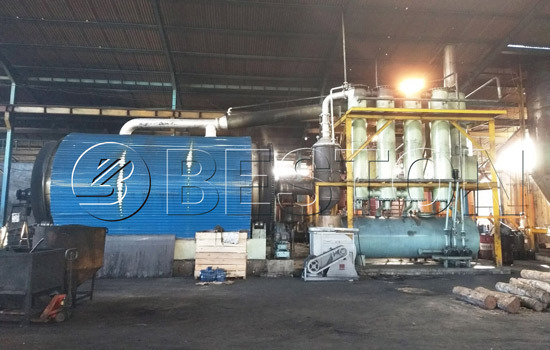 If you want to learn the feasibility of this pyrolysis plant project or more information about tyre pyrolysis plant project report, email us right now! 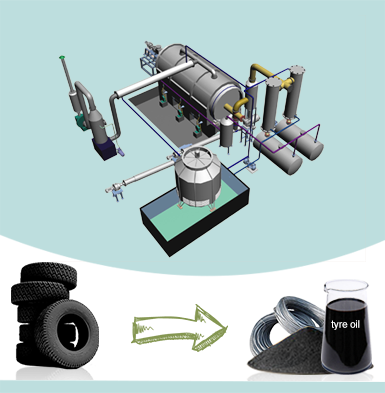 We also will help you to customize your own tyre pyrolysis plant!